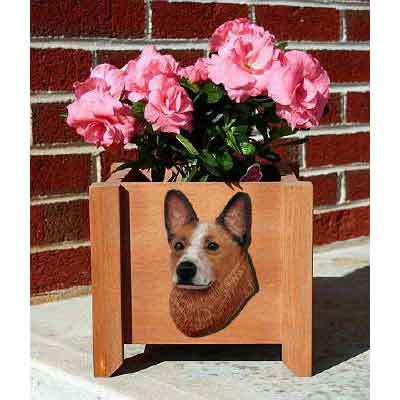 Beautiful new planter box from our favorite Master Woodcarver Michael Park in over 70 dog breeds. Features a cast resin reproduction of your favorite dog breed from an original wood carving by Michael. Overall dimensions: 9 1/8" x 9 1/8" x 8"
A great gift for any dog lover or yourself!